Sweetness is my weakness. Yet there are only a few desserts particularly cakes that I really, really like and wouldn’t mind consuming calories for. 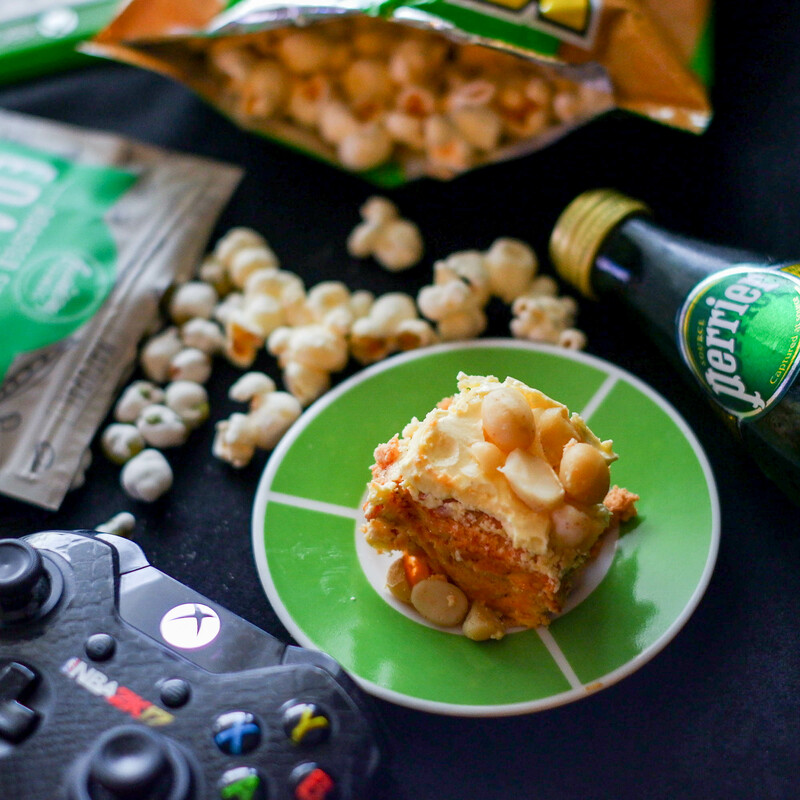 Taking a break from healthy snacks posts because guys I also like to indulge in sweets & fast food once in a while. Heehee. 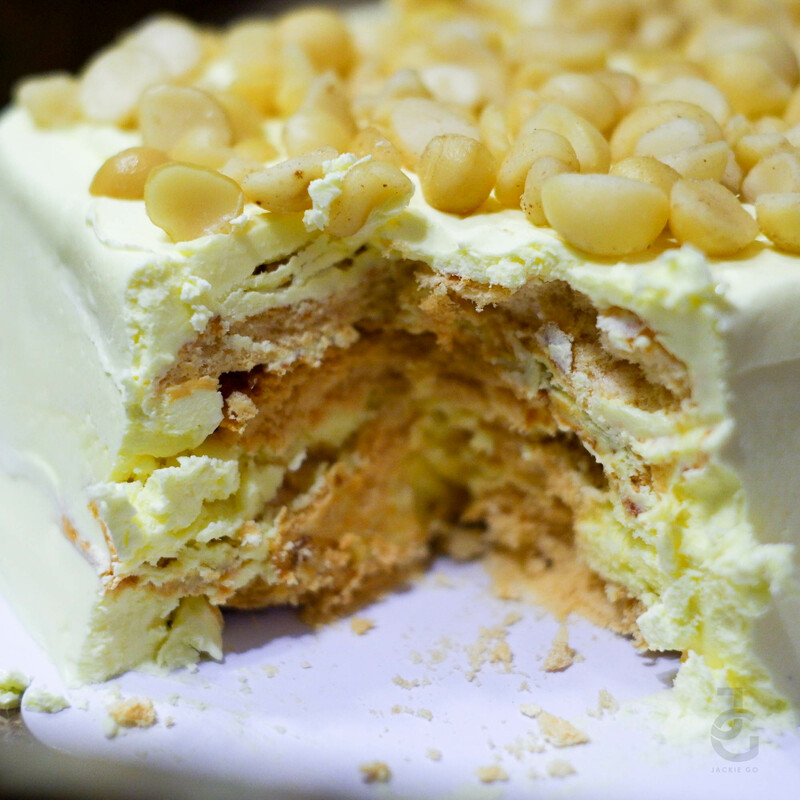 I’ve recently discovered this Macadamia Sans Rival cake and it is love at first bite. Can I just say I’ve never consumed so much buttercream and meringue in my life and yet I have hashtag no regrets. Bwahahaha. 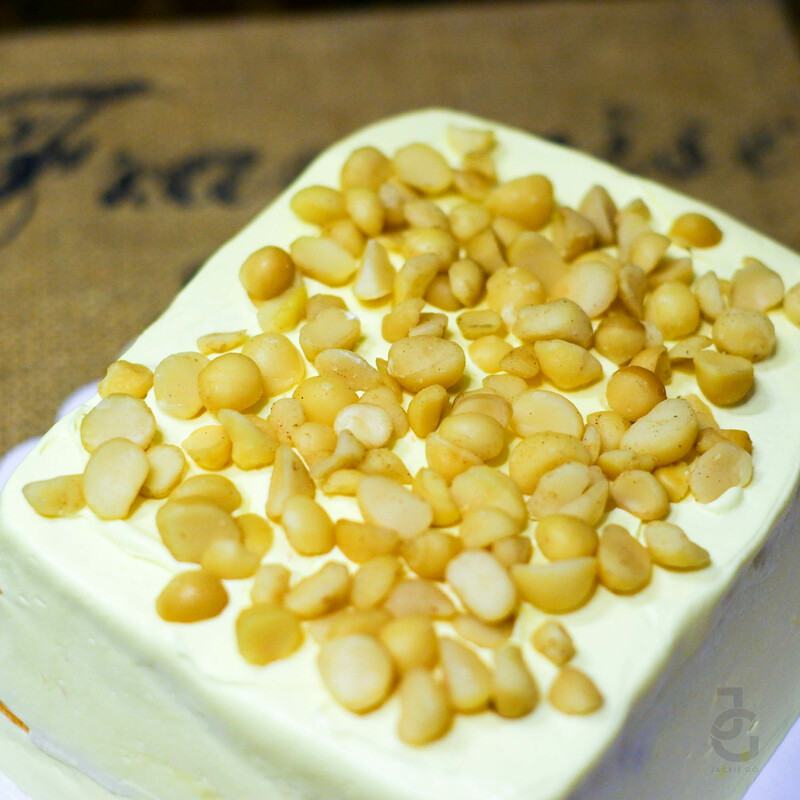 Sans Rival is a Filipino dessert made up of layers of buttercream, meringue and nuts! Cashew is usually used but macadamia works well too. It’s name literally means “no rival” and whoever thought about this probably enjoyed way too many Sans Rival in his/her life. Hahaha. Light velvety buttercream envelops the sweet chewy meringue giving that perfect sweet mix. 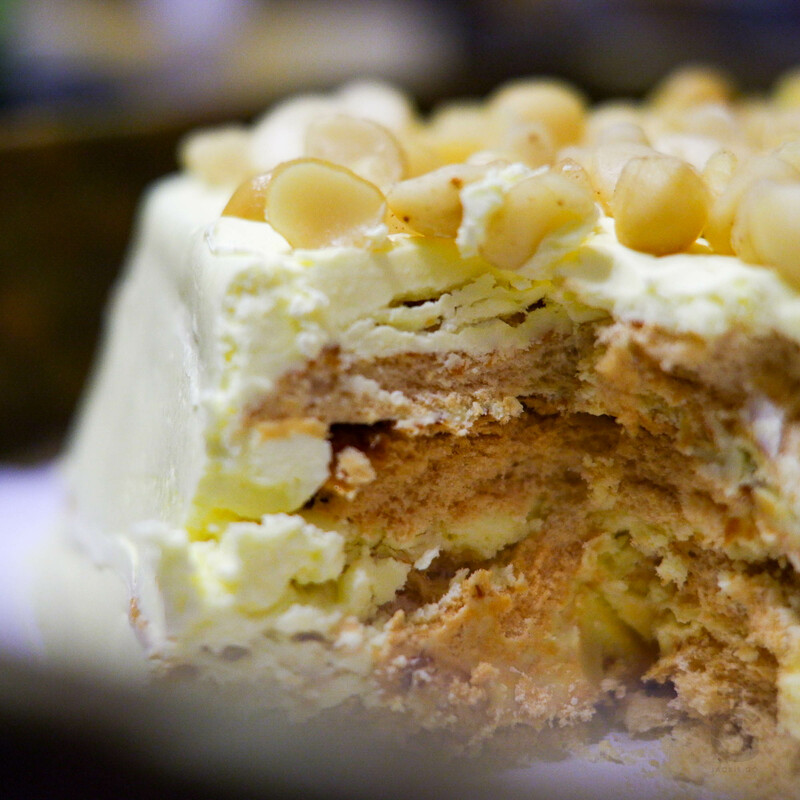 The macadamia topping gives the right crunch to the dessert. I liked it so much a week or two after having my first taste, I ordered again to share to my mom friends during our play date. I give myself that once in a while (by once in a while I mean every weekends hahaha) treat because I believe it is essential to keep things balanced. Truly enjoyed this Sans Rival & now it’s on top of my mind whenever I crave for something sweet. Tita Gay also offers Cashew Sans Rival. Guuuuuys it’s as good as the macadamia! 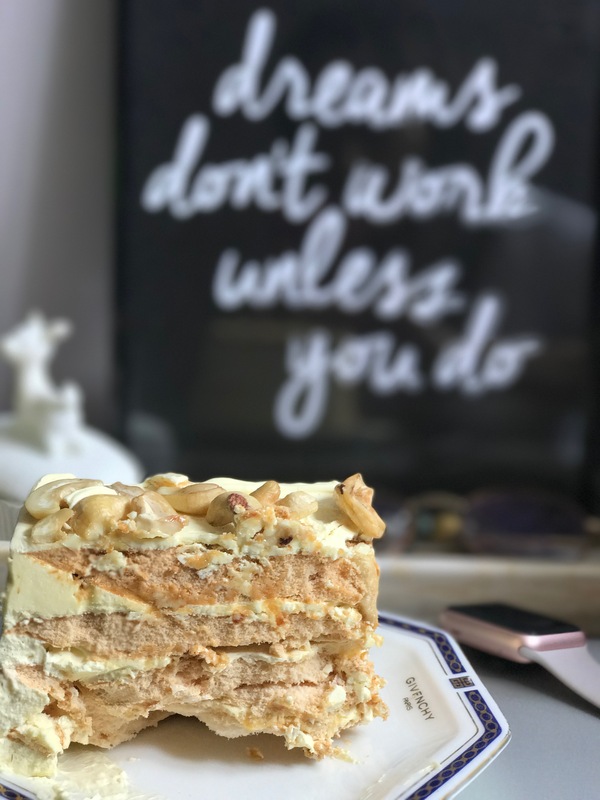 Order this Sans rival cake from Gay Vazquez by calling or messaging 631-0125, 477-9737 0917-3010615.Pick up is in Valle Verde 6, Pasig City.